A federal appeals court panel ruled that it could use so-called affirmative action as a way of promoting diversity. Last year, the US Supreme Court sent the issue back to lower courts for further review. In a 2-1 ruling, the 5th US Circuit Court of Appeals rejected the case of a white student denied a place at the Austin, Texas, university in 2008. 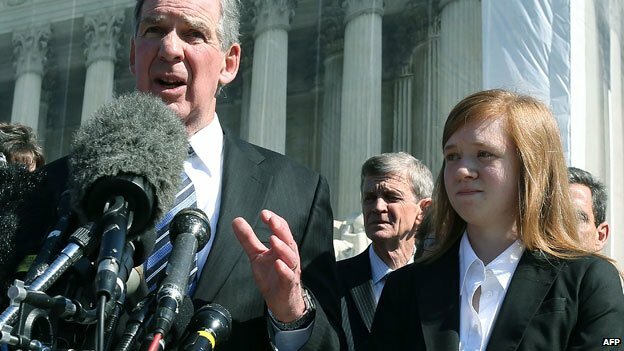 Abigail Fisher said the policy of considering her race violated her civil and constitutional rights. But the judges found that barring the university from using race would negatively affect the diversity of the campus, which would be in contravention of case law that said promoting diversity was an important part of education. “We are persuaded that to deny UT Austin its limited use of race in its search for holistic diversity would hobble the richness of the educational experience,” the opinion stated. University of Texas President Bill Powers called it “a great day” for higher education. “Our state and our nation won’t advance unless we’re training leaders in all parts of our society,” he said. Edward Blum, one of the attorneys representing Ms Fisher, called the ruling “disappointing but not unexpected” and will consider whether to appeal. “I remain committed to continuing this lawsuit even if it means we appeal to the Supreme Court once again,” said Ms Fisher. The National Association for the Advancement of Colored People (NAACP) called the ruling a victory but said the “conversation” would have to continue. The Texas university uses race and other factors when admitting about a quarter of the annual student intake. Affirmative action, which is known in the UK as positive discrimination, was introduced in the US in the 1960s. While conservatives argue that the policy gives preferential treatment to people from ethnic minorities, in an America which prizes pulling oneself up by the bootstraps. However, when the public university system in California decided to drop affirmative action in the 1990s, there was a steep decline in the number of minority students admitted to those colleges.